Note: The past 23 hours of my life has been busy and I forgot to post about this. So I’m reposting this post from my other blog. It’s a Saturday afternoon and I have no class. I spent the morning doing exercise in preparation for the upcoming annual literary ball, and browsing through Tumblr posts. I felt that I have done nothing. So, I decided to go out of my room and find something productive to do. I went to school to return the book I borrowed from the university library which was due today. It was a reference guide to screenwriting. I am in the process of converting this short play I made into a film. Since I still had time, I browsed for other books that might interest me. I found these two design basics books. I got them off the shelf together with this magazine layout book and a book on night photography. I just browsed them. The magazine layout book was my first victim since I am preparing for the next issue of XELLO publication. There are a couple of good things in it. I immediately got ideas from them. I browsed the other books for the next hour. After having finished scanning and browsing them, I returned them to their shelves and left. I went to get coffee at McDonald’s since its so cold and I miss coffee! It’s my first coffee in five days! After getting my coffee, I went home and read a book. I am currently reading “The Phantom of the Opera” by Gaston Leroux. 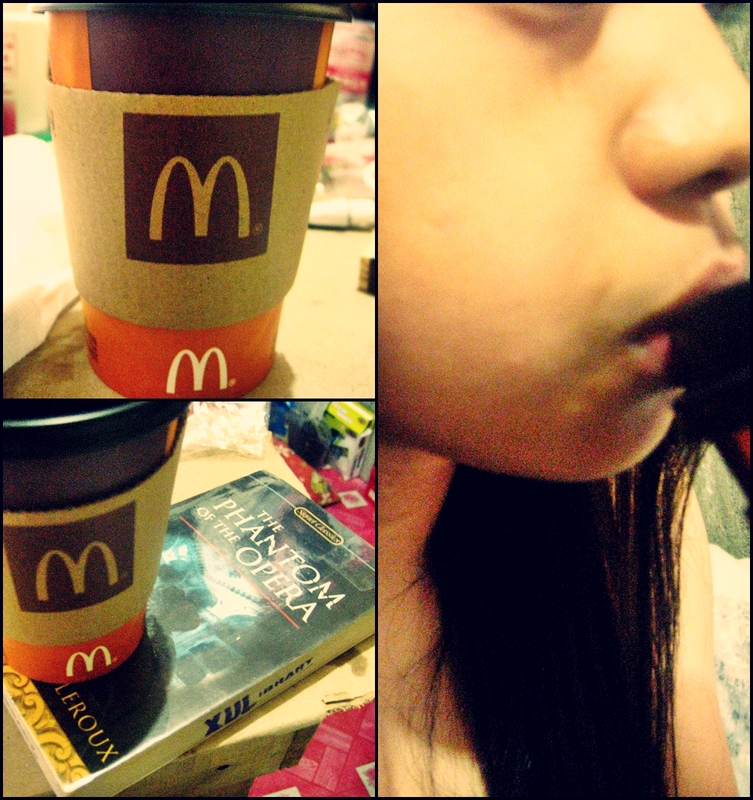 I love the coffee from McDonald’s because it’s brewed of course and it’s delicious. They’re using (according to their menu) this “coffea arabica” beans which is very tasty and the aroma is sensational! Nothings beats coffee and a good book in this cold weather. Since I am so feeling my outfit, I took a picture of it using the timer on my digital camera (yeah, that’s the kind of loner I am). I checked out first if there are people coming my way before I finally posed for the camera. I posted it on Lookbook. 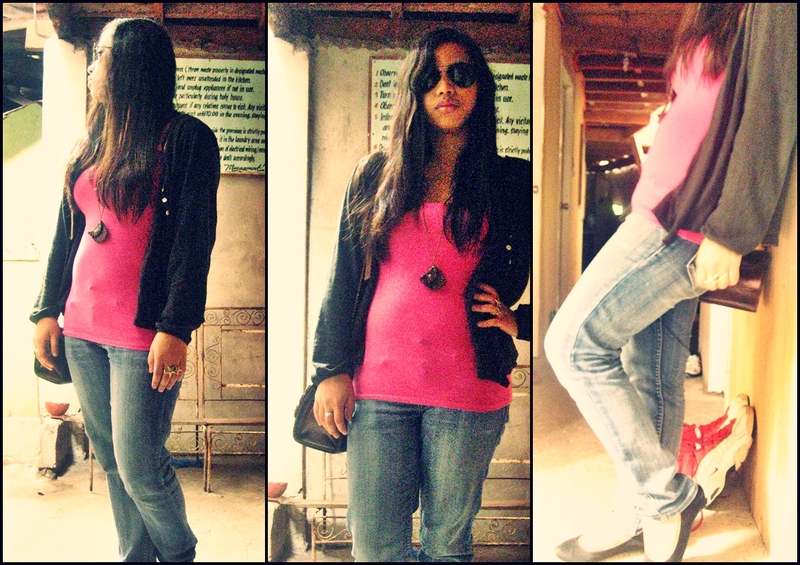 Though the quality’s crappy because I had no one else to take my photo, but whatev, I like it anyway! I won’t ask whatever is on your mind because I know it’s crappy. So I’ll continue to read this book while waiting for my friend Janne who is in a seminar now.